Hydro Resources also offers state-of-the-art hydrogeophysical imaging services which allow us to evaluate aquifers for numerous hydrological and geological purposes. The data derived allows us to identify and target those sites on a property with the highest potential well yields. In addition, we can determine the approximate depth and relative water quality of the targeted aquifer. With depth capabilities down to 3,500 feet below surface, our imaging system helps us to identify aquifer conditions in nearly any geological environment. 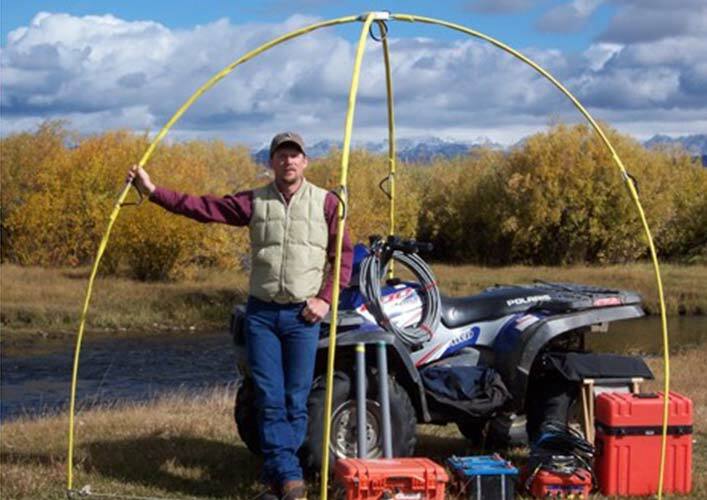 Hydro Resources operates three surface-based, portable Controlled Source Audio Magneto-Telluric system units (“CSAMT”) called the MT2, MT4 and MT4-ED. Each system provides a depth-calibrated 2D or 3D apparent resistivity image, depicting individual or multiple aquifer horizons. Whether you need to identify areas of coarse sand and gravel alluvium or porous areas in the bedrock, our team of Hydrogeologists can integrate our subsurface images with the local geological conditions to help select the best site for your highest yielding well. Hydro offers our hydrogeophysical imaging services worldwide as a stand-alone service. Our imaging capabilities and services are also utilized in the energy, environmental and mineral industries.